Mastrangelo & Sons Roofing is a second generation, family owned business based out of Cambridge, Massachusetts. Since 1984 we have specialized in slate and copper roofing and restoration. We also install wood shingles, wood shakes, asphalt shingles and rubber roofing. 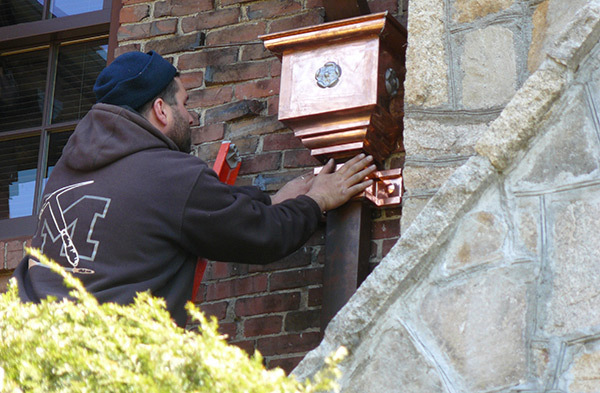 Our full service sheet metal fabrication shop can fabricate almost any type of architectural detail, including gutters and downspouts. We produce custom work with family pride.